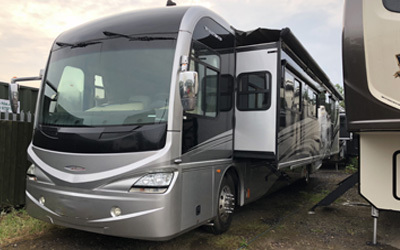 Here you can find more detailed information about our fleet of motorhomes that are available for hire and view photos and layouts of them. 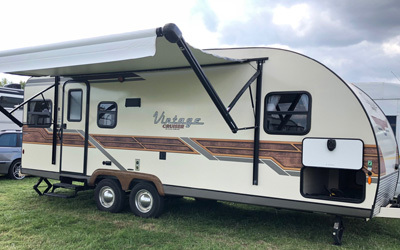 This lovely vintage American caravan has the advantage of a full sized shower and toilet, the same as fitted in to much larger RVs and is 24ft long. 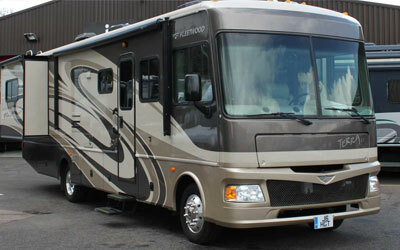 Stunning 42ft luxury motorhome. 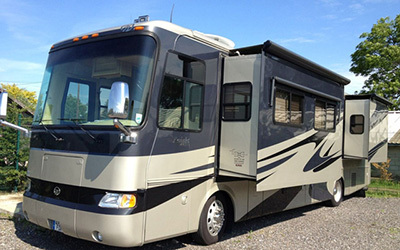 Our most luxurious RV on the fleet. 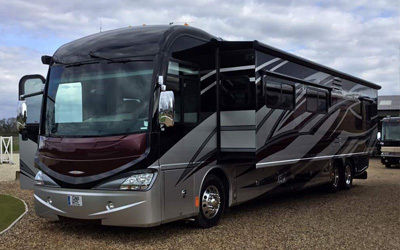 The Monaco Knight is 38ft in length and Quad Slide. 2 double beds 1 single beds. 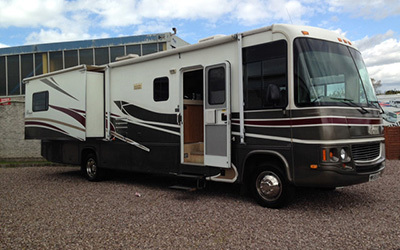 The Georgie Boy Pursuit is a 35ft motorhome. 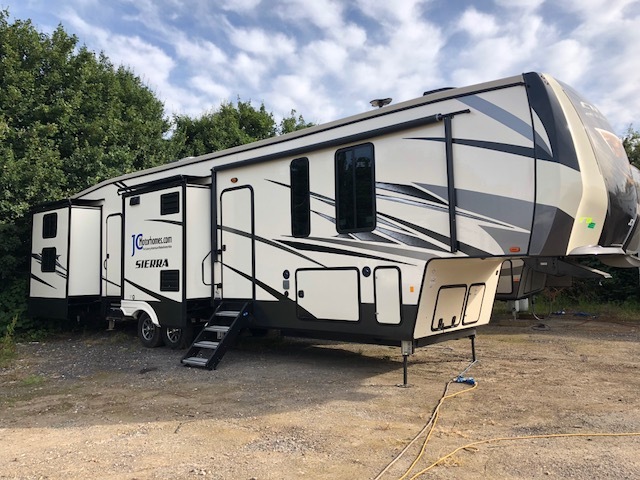 The XLR Thunderbolt 42ft, 2 bedrooms, 2 toilets. 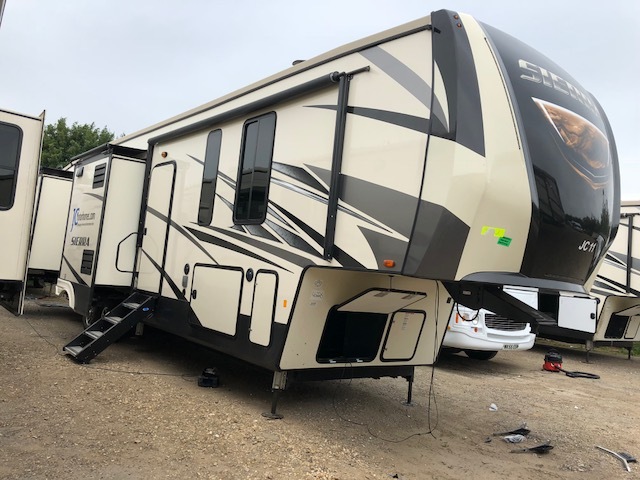 This is the second Keystone Raptor in our fleet, and has 2 bedrooms and 2 toilets. 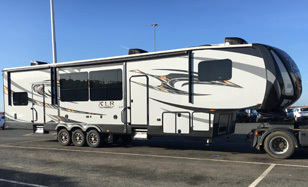 This 5th wheel has 2 double bedrooms and 2 toilets. 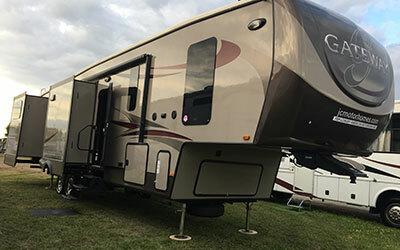 It is ideal for 2 couples. 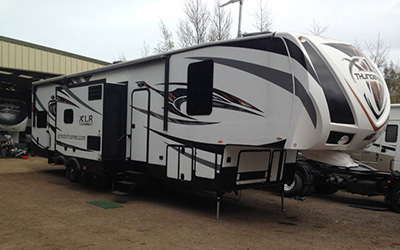 The Heartland Gateway is 42ft long and has 2 king sized bedrooms, one at either end of the RV. 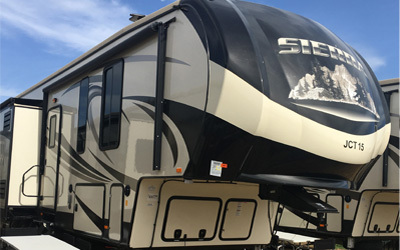 3 Sierra Fifthwheels with bunks. 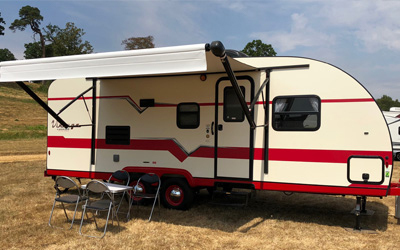 3 Sierra Fifthwheels with 2 double bedrooms.